On Saturday, July 23, 2011, Midge Morash, one of the most loved, admired, and cherished residents of Sierra Madre passed away. At age 88, she had struggled in recent months with her health. Midge was affectionately known as “Mother Nature” in environmental circles because of her commitment to protecting the earth, especially Bailey Canyon. In fact, she was instrumental in developing the first trails at Bailey Canyon Park in the 60’s. Midge was honored by the city for her work as the developer of the Nature Awareness Program more than 30 years ago. That program included field trips once a year for all third graders in town, and recruiting and training docents for the program. 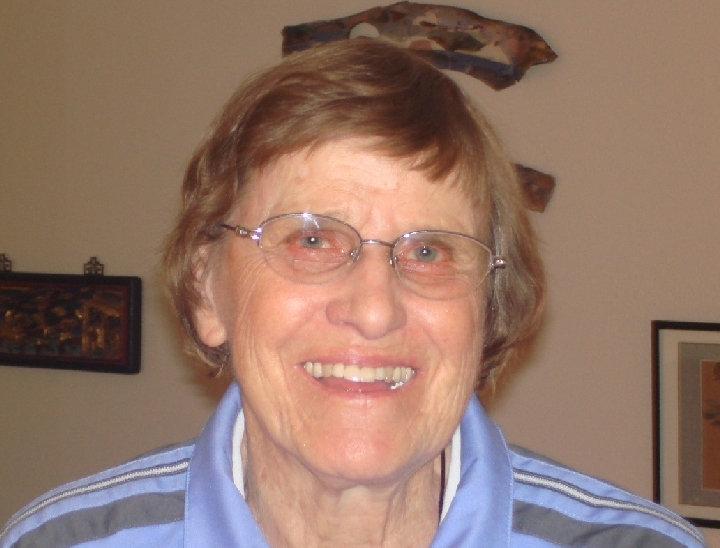 She was one of the founders of the Sierra Madre Environmental Action Council (SMEAC) in 1972 and designed three of their brochures and helped develop information for the kiosk at Bailey Canyon. She also devised a trail guide for Live Oak Nature Trail and Canyon View Nature Trail in Bailey Canyon, with assistance from Eaton Canyon Nature Center. For several years, along with her volunteer work, she was lab technician at the hospital when it was located in town. Midge and her husband Tal, who preceded her in death, were the parents of four children. Tal passed away in 1988 and their son John also passed away. She is survived by two daughters, Kim Lazaro of Poway and Anne Johnson of Rancho Cucamonga and a son, Paul Morash of Evanston, Wyoming. When the Morash children were small, she also volunteered “in all the usual school functions” and was a leader for Brownie and Girl Scout troops for years. The recipient of numerous awards and honors over the years, in 2009, she was the Sierra Madre 4th of July Parade Grand Marshal. In 2000, she was the Sierra Madre Older American of the Year. In 2004, she was honored by the City Council for years of dedication to the wilderness. In 2003, at the age of 80, Morash was part of a group that planted a tree at Bailey Canyon for Arbor Day, near a rock dedicated with a plaque in honor of her late husband, Tal. Her dear friend Fran Garbaccio described Midge as a “true renaissance woman”, because of her many talents. For, in addition to the countless volunteer hours spent protecting, nurturing and teaching, Midge was an incredible artist. Her Sierra Madre home, and later her home at The Oaks in Pasadena, was filled with her creations. On February 13, 2009, Midge fell and broke her pelvis, and shortly thereafter moved to The Oaks in Pasadena, her residence at the time of her death. Services for Midge will be held on August 27, 2011 at 4:00 p.m. at the Sierra Madre United Methodist Church. Rev. Mark Trotter will preside.